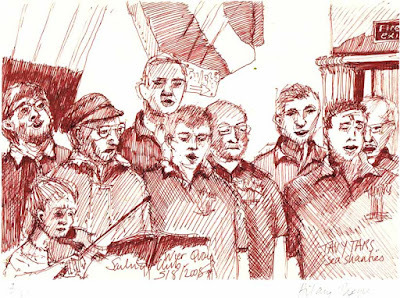 Marine and landscape artist Hilary Thorpe was at the Classic Boat evening at WQSC back in August and she kindly did this sketch, which is approximately 8 x 6 inches. Copies are available directly from Hilary at a cost of £10.00 + postage at hilary@hilarythorpe.co.uk. A link to Hilary's website is shown under the useful links section.